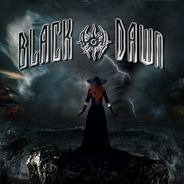 Black Dawn’s rich guitar compositions, loud bass and intense lyrics are the perfect energy riser for any occasion. 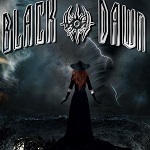 Black Dawn produces music that bleeds raw emotion and reflects the best of the Heavy Metal genre. 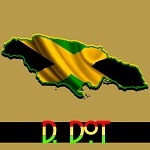 Black Dawn has been producing and performing music in the Long Island/New York region since 1996. The band currently consists of Matt Kotten (Lead Guitar / Vocals), Tom Kelly (Rhythm Guitar), Shawn Cox (Bass Guitar – formerly of New York City’s Sworn Enemy), and Enzo DiPaolo (Drums). They have produced two albums “Absence of Time” (1999) and “Age of Reason” (2004), and the EP “Until We Meet” (2014). 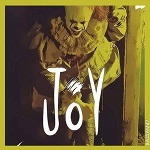 With several of these tracks being selectively chosen by numerous digital radio stations, podcasts and colleges globally, showcasing the talent and reach of this band. The band draws inspiration from Godsmack, White Zombie, and Five Finger Death Punch, utilising traits from each of these artists to create an eclectic range of heavy metal that encompasses Black Dawn’s identity. Recently the band signed with Pavement Entertainment, a Chicago based independent label and are roaring to grace the heavy metal scene once more with their new album “On Blackened Wings”, set to debut this year. With a new album in the works, this hasn’t slowed the boys down, however, with a series of upcoming gigs booked across New York City. 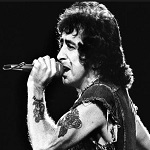 These include the Revolution Bar & Music Hall on March 9th and Arlene’s Grocery on March 24th. Black Dawn produces an undeniable energy through their music, leaving you speechless, literally and in ore of their head-splitting compositions. This is a band that knows their genre, skills and capabilities.